Isle of Games is a diverse group of individuals exploring the intersection between games and art. The group consists of game developers, artists and other people who are passionate about the weird, the beautiful, the artistic, and the cultural side of video games and their extended family. A day of games, art and music. Isle of Games 001 is a one day event that showcases alternative games and playful media from Iceland and abroad. In this debut event, we will showcase a collection of digital games, playful installations, and stage performances. At Isle of Games you can experience the weird, the beautiful, the artistic, and the cultural side of modern video games and its extended family. 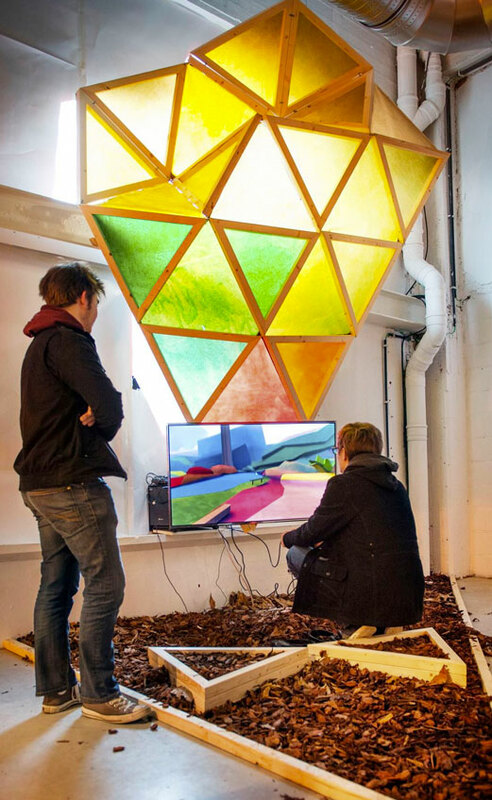 In the main hall of Iðnó, you can play games in custom installations from Icelandic as well as global developers from the alternative game scene. This includes short games about personal expression or aesthetic exploration, as well as games with cultural value. 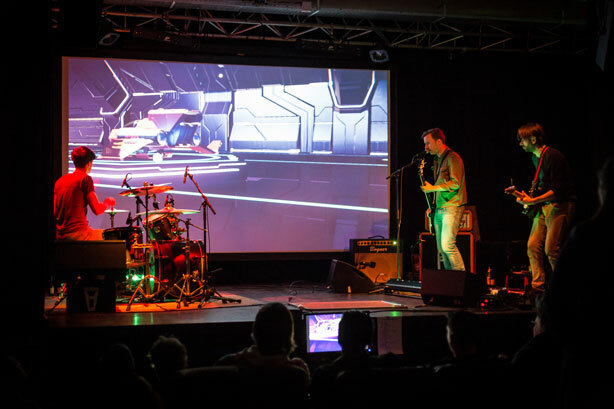 In the evening, we open the stage with Live Games Live Music, a unique choreography where local musicians improvize a performance while a player plays a game on a projection screen. We invite people of all ages and backgrounds to come and explore the artistic and cultural potential of the works on display. Join us for the debut of Isle of Games! What is the state of video games in 2018? For most of video game history, even making a simple game required large amounts of technical know-how. It’s as if every time you want to write a book you had to first design and build an entire printing press before you wrote the first word. The result is that the early history of video games is largely made up of the creative efforts of engineers. That’s not to say that engineers can’t make culturally relevant games but if the only writers in the world were those who could also build and maintain printing presses, literature would look very different. This has been slowly changing in the past decade as tools have become increasingly accessible. Although some of these tools are still complex to learn and use, you at least no longer need to know how to build a printing press, just how to operate one. This has resulted in an explosion of games from young people, and those who simply were not able to make them before. The variety of games made with a clear expressive intent is bigger than ever, and they deserve to be considered in a public forum just like art in any other medium. With Isle of Games, we are attempting to boost the cultural acceptance of games as an artistic and culture bearing medium. We will do this by creating a platform for Icelandic as well as international artists working with games, and by building bridges between games and other media. We will exhibit games but also non-interactive pieces, musical performances, and other works that have a strong connection to alternative games culture. Send us an email if you have questions about our event, or if you are working on something you think we might be interested in.